Your liver would like to place most of the trash it is trying to eliminate into your digestive tract by secreting it in the bile (and the bile in turn also helps you digest fat). In your body's system of economy your digestive tract is both the kitchen and the restroom, an odd combination if you stop and think about it. Trash must move out smoothly or digestion of food doesn't go so well. 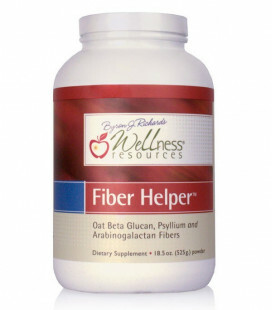 The most basic way to soak up toxins in a bulk manner is by having adequate dietary fiber. This creates a sponge affect, literally absorbing toxins and getting rid of them. Of course, constipation not only backs up the digestive tract it sends shock waves back through the entire detox system, stressing your liver, lymph, and cells. You need at least one bowel movement per day, two is better. Motility Helper™ is our top product for colon cleansing and moving your GI tract if it is sluggish. If the balance of flora within the digestive tract is out of whack (too much unfriendly bacteria or Candida) then several detoxification challenges result. 1. The unfriendly organisms produce both toxic and inflammatory waste products that add to the detoxification problem and may enter into the general circulation. 2. The unfriendly organism may eat the bonds off of phase 2 liver detox conjugates that have been sent into the digestive tract through the bile for elimination, unfortunately liberating the toxins which may once again re-enter your general circulation. 3. The rate that normal amounts of toxic trash can be cleared into your digestive tract is reduced because the digestive system is already too inflamed and toxic. 4. Normal bowel motility is disrupted promoting heartburn, irritation, indigestion, gas, or bloating. Here I provide you with some simple suggestions. Please see my Digestive Health page if you have significant digestive issues and need more guidance. Digestive processes must work relatively well for detoxification systems to perform in a reasonable manner. Highly-purified with no additives. Nutrient support for the immune system, adrenals and stress. 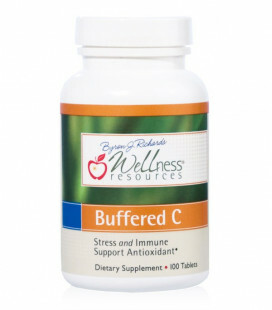 * There are two vitamin C options: Vitamin C Capsules and Buffered C Tablets.